Observation notes: I think the butterfly could be a Desert Marble. 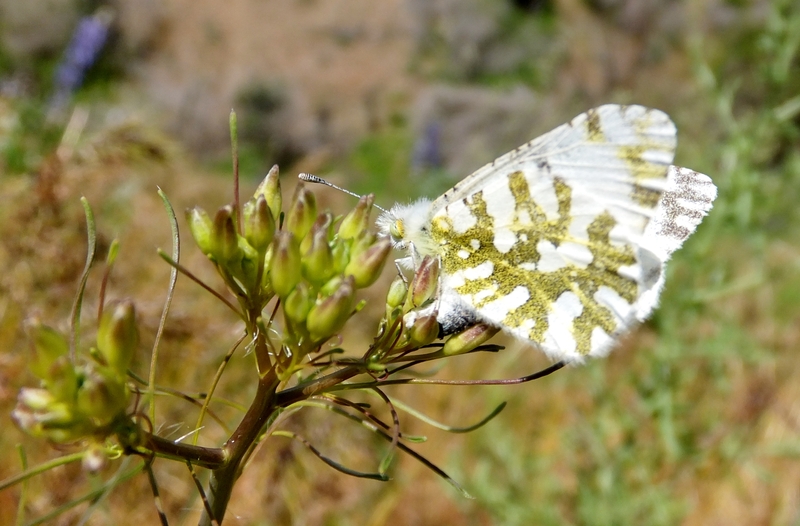 It is in our local butterfly checklist (North Okanagan). It’s interesting to note that the photo shows the Desert or Pearly Marble on what looks like the plant Arabis sparsiflora or Sicklepod Rockcress. 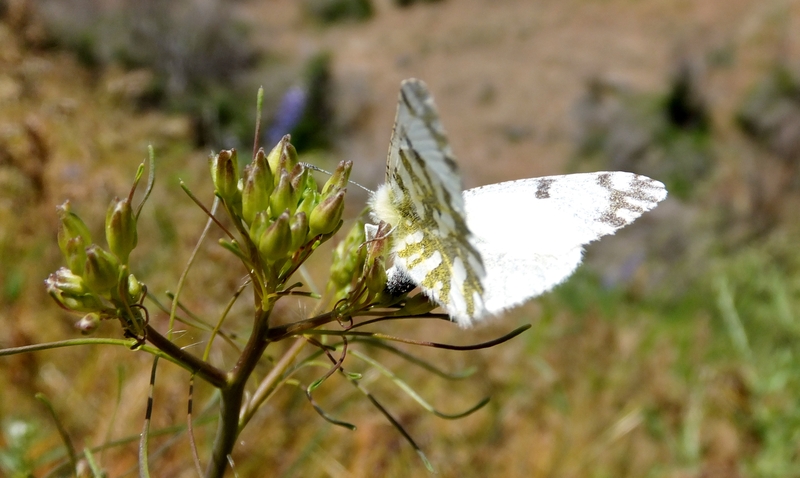 The plant was right next to me and the butterfly kept flying away and returning to this plant, so it may have been laying eggs. It was a clear blue day and the temperature was around 28C.